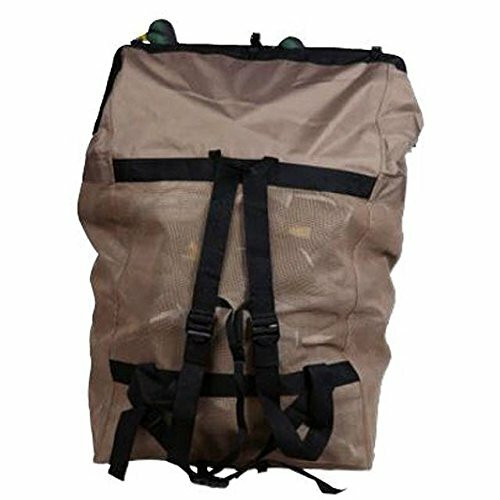 Tanglefree Pro Series Ez Load Decoy Bag New AC445 by Tanglefree at Freedom from Government. MPN: AC445. Hurry! Limited time offer. Offer valid only while supplies last. Load your decoys with ease the EZ load decoy bag has an extra large opening that stays open once expanded. Holds up to 36 standard sized decoys. Load your decoys with ease the EZ load decoy bag has an extra large opening that stays open once expanded. Holds up to 36 standard sized decoys. Included adjustable shoulder straps waist belt and 2 man carrying straps. If you have any questions about this product by Tanglefree, contact us by completing and submitting the form below. If you are looking for a specif part number, please include it with your message.